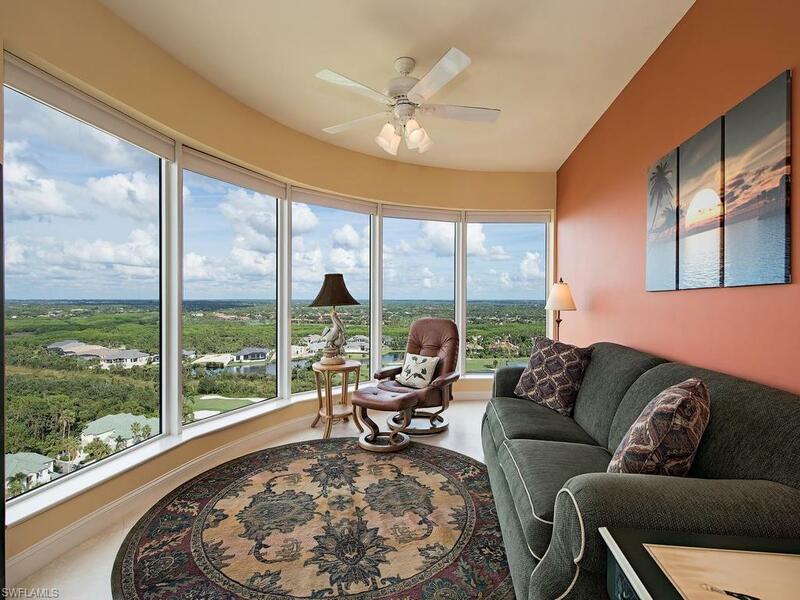 C.14129 - Enjoy all year-round stunning sunsets over the Gulf of Mexico from this luxury 19th floor tower residence in Bonita Bay. 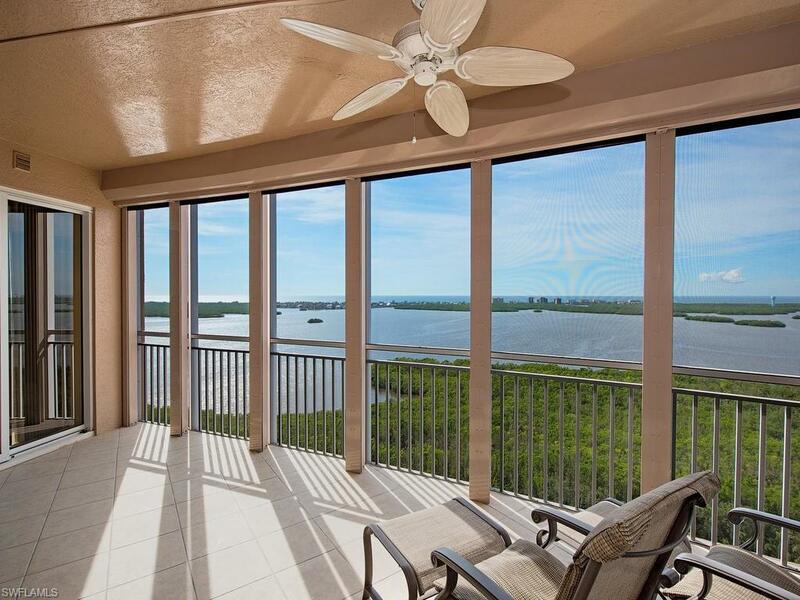 The living, dining, breakfast and family room areas provide spectacularly long water views over the Estero Bay, the natural preserve and the Bonita Bay golf courses. The centrally located and spacious kitchen adds another dimension to this light and bright home. Elegant neutral marble stone flooring and new bedroom carpeting enhance the homes luxurious environment. The west facing lanai has electric storm shutters. Estancia includes a social and card room, fitness center, large pool and spa with gas grills, two guest suites and a full-time resident manager. 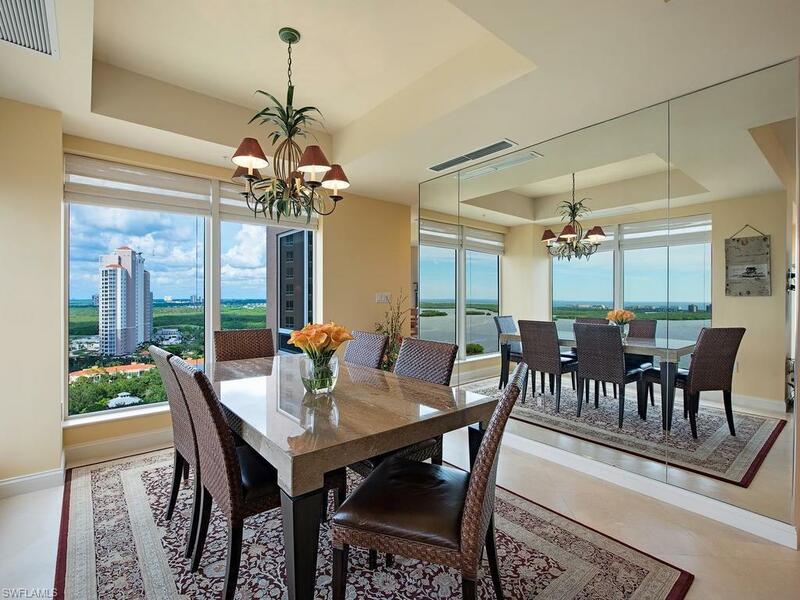 Bonita Bay, a gated community, welcomes owners to a complete luxury lifestyle. Bonita Bay has 5 golf courses, 18 court tennis center, 18,000 s.f. fitness center, 8,000 s.f. 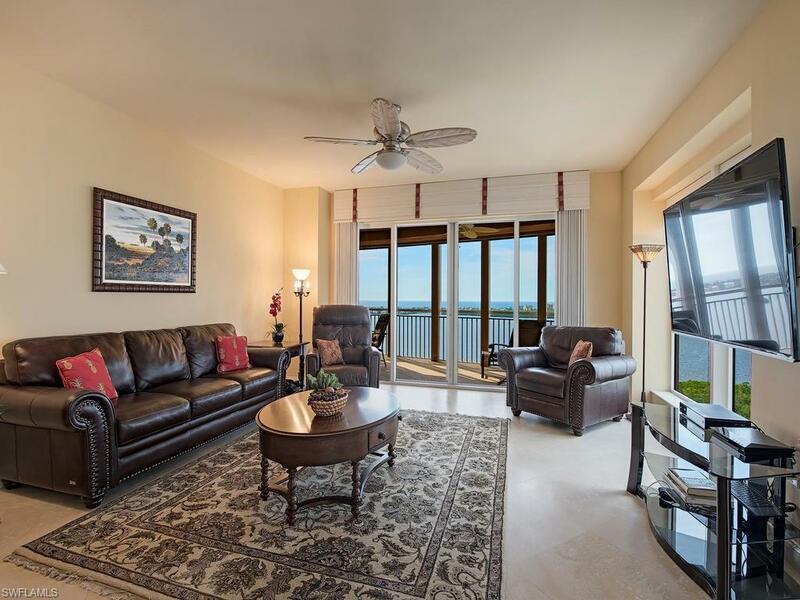 Lifestyle spa & salon, full service marina, private Gulf front beach pavilion, 6 restaurants, 8 pickle ball courts, crochet, bocce ball, canoeing, 3 parks, 12 miles of biking/walk trails, a life enrichment center and much more.